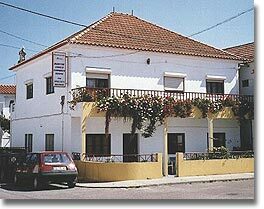 Mateus Apartments are located in Vila Nova de Milfontes and are close to various services, such as restaurants and supermarkets. In this family-run accommodation, guests can choose between rooms, which include a private bathroom, with TV and kitchen use, or alternatively choose an apartment that can accommodate the whole family and friends. Those looking for just a room but do not want to give up the access to a kitchen, or who want an apartment with all the conditions for their stay in Vila Nova de Milfontes will certainly appreciate the conditions that Mateus Apartments offer. Mateus Apartments are open all year.